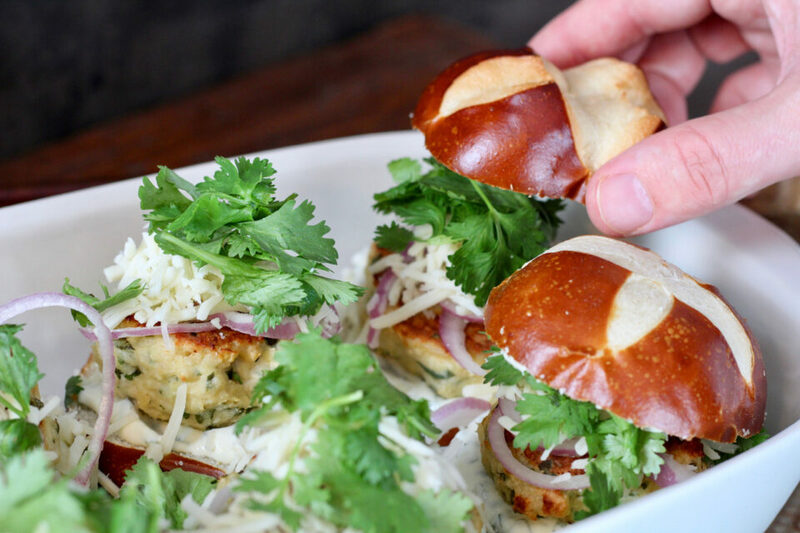 These chicken sliders are an easy appetizer for a low-key gameday with your best bud. Mouthwatering and addictive, here’s a recipe you won’t want to miss. The actual chicken sliders part of this recipe is quite simple, healthy and rich in protein. Shape them into 24 meatballs and bake for the same amount of time listed below. 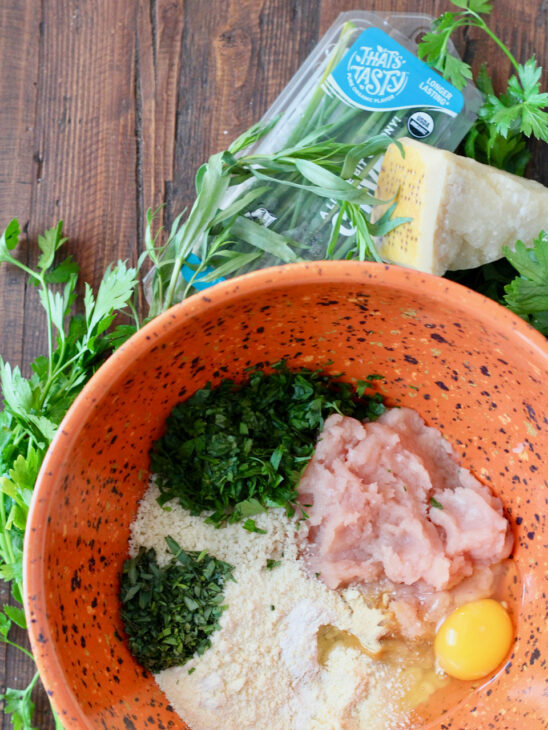 Then serve them with your favorite pasta (they taste phenomenal with our Oregano Pesto. Just sayin’). 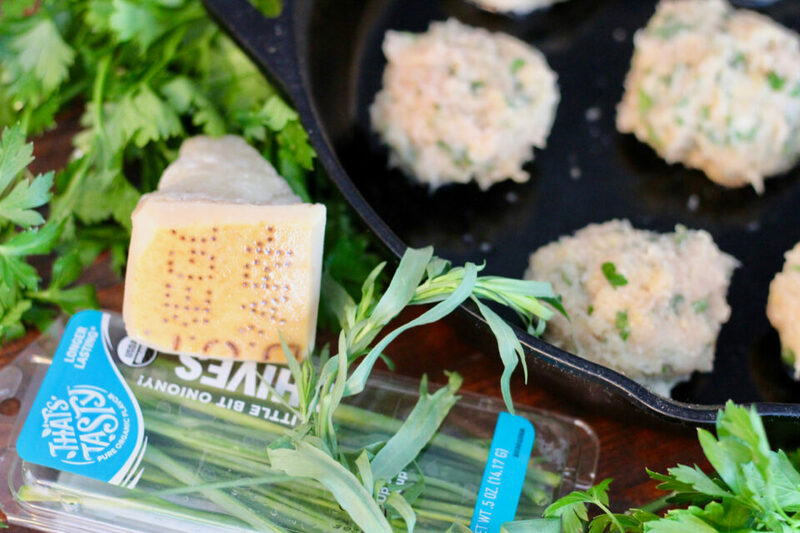 Store and refrigerate the patties (or meatballs) for meal-prep during the week. Pair them with our Powerhouse Cauliflower Tabbouleh, hummus and pita bread for a filling lunch at the office. Serve them for breakfast as a tasty twist on Chicken & Waffles! Make sure to check out our Sage-tastic Savory Waffles the next time you’re in the mood for something a little different. When it comes to watching football, we are giving your taste buds the green light to splurge. Mix all slider meat ingredients together in a large mixing bowl. 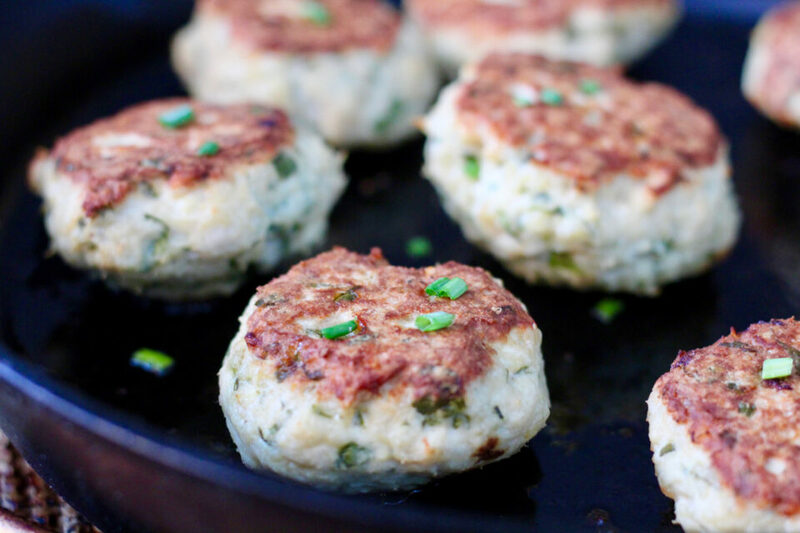 Press into six patties and place on a greased cast-iron pan or cookie sheet. Bake for 30 minutes, or until internal temperature has reached 165F. While the sliders bake, prepare green goddess mayo and set aside in the refrigerator until you’re ready to assemble. To make the sliders: Place bottom half of the buns in a baking dish. 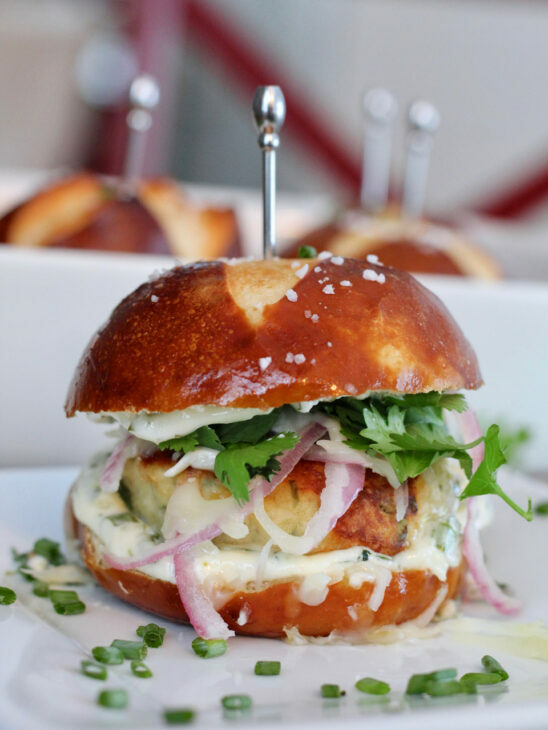 Spread the buns with mayo and then layer each one with a chicken slider, shredded cheese, red onion and cilantro. Finish by spreading the upper half of each bun with mayo and then place on top of the sliders (see photo below). Bake for 10 minutes, or until cheese has melted. Serve immediately. For the breadcrumbs, we favor the texture of panko. However, any variety will work. We recommend rubbing olive oil on your hands prior to rolling the meat into patties. It’s not completely necessary, but it will prevent the chicken mixture from sticking to your hands. If you cannot find pretzel slider buns, you can substitute with whatever bread option you prefer. Sweet Hawaiian rolls would also be a great option.